The downfall of Park Geun-hye, following a bizarre corruption scandal involving a shaman’s daughter, is perhaps one of the best known stories about South Korean politics. So it may be difficult to believe that, at the time of her election in 2012, it was not unreasonable to admire Park Geun-hye for her political leadership. Of course, everyone knew that the seed money of Park Geun-hye’s political capital was from her dictator father Park Chung-hee. But as a politician, Park Geun-hye could claim genuine achievements. Park Geun-hye carrying out her party's nameplate to the tent-office, c. 2004. That the Korean public brushed aside these criticisms is a testament to the degree to which people see in a public figure only what they want to see. At least in 2012, when she was squaring off against Moon Jae-in, Park was seen among her supporters as the improved version of her father: a public-minded patriot who got stuff done, minus the authoritarian instincts. Through this image, she was able to distance herself from both Lee Myung-bak’s corruption and her liberal rival’s perceived naïve idealism. This image not only got her to win the presidency, but overcome the NIS election interference scandal that plagued her presidency from the beginning. The evidence of elections tampering was overwhelming. The NIS ran a Psychological Warfare division with approximately 70 agents whose sole duty was to operate on the internet and influence the elections. The agents put up fake internet comments and fake tweets—more than 1.2 million of them—about Korean politics. The NIS also paid more than 30 media outlets to publish stories of their liking. The military and the Ministry of Veterans Affairs ran similar programs. There was also extensive evidence of cover-ups. The whistleblowers within the NIS who tipped off the Democratic Party were fired. The police captain Kwon Eun-hee who led the investigation was censured for claiming her bosses were dragging their feet in the investigation. 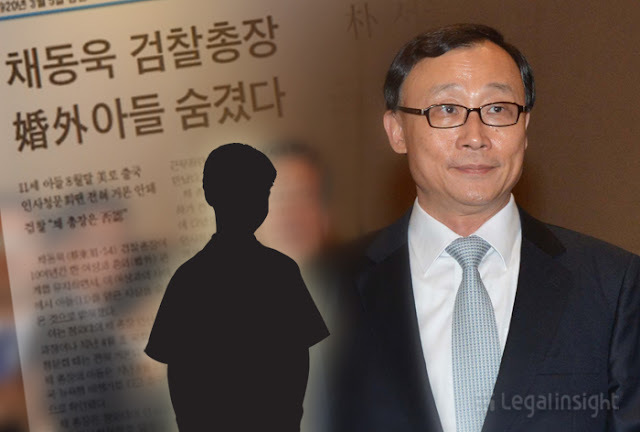 The Prosecutor General Chae Dong-uk, who overrode the police to assert his own investigative authority, only to become a target of a hit piece by the conservative Chosun Ilbo about having a child from an extramarital affair. Chae had to resign when the Ministry of Justice threatened an internal investigation against him. Yet Park Geun-hye was able to power through this by stonewalling. Park Geun-hye didnot hold a single press conference for the first ten months of her presidency. When she did speak in public in a rare occasion, she would avoid referring to theelection meddling entirely. In private, when she met with liberal political leaders, Park Geun-hye angrily retorted: “Do you really think I was elected because of some internet comments?” Liberals were hopping mad, but were ultimately at a loss as to what to do. Throughout all this, Park Geun-hye’s approval rating remained solidly above 50 percent, sometimes over 60 percent. Just like the way the Korean public walked right past Lee Myung-bak’s corruption, they were walking right past Park Geun-hye’s illegitimate election. The devil’s bargain the Korean electorate made with Lee Myung-bak, and then Park Geun-hye, was: “be competent and get the job done, and we will look past your corruption, be it graft or elections tampering.” Lee Myung-bak’s numbers began suffering when he could not hold up his end of the bargain in the later part of his tenure, when Korea’s economy began suffering as a result of the global financial crisis. With Park Geun-hye, it only took one year to show that she could not hold up her end of the bargain. But Park Geun-hye’s broken promise came not with mere pain and suffering of bad economy, but waves and waves of death. wrangled to be buried alive in response to the Avian Flu epidemic. As with the earthquake, the animals foretold the disaster. In early 2014, the avian flu began striking Korea. Although Korea has previously experienced the avian flu, its scale was unprecedented. 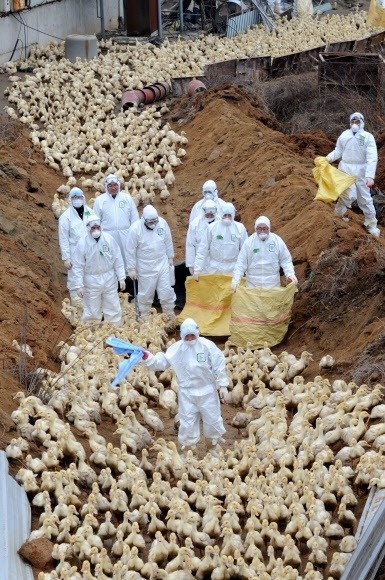 In less than a month, Korea’s chicken and duck farms had to kill more than 2.6 million chickens and ducks in the contaminated area by burying them alive. As many as 500,000 chickens in the town of Jincheon, Chungcheongbuk-do in were buried in just one day. Then there was the MERS epidemic in May 2015. Korea was an odd place to have an epidemic of a disease called Middle Eastern Respiratory Syndrome—especially because Korea managed to avoid the SARS outbreak that began in China and Hong Kong, with which Korea has exponentially greater exchange of people. Yet in just two months, 186 Koreans contracted MERS, and 36 died of it. Although poultry lives and human lives are obviously not comparable, both epidemics served as blaring warning signs for the Korean people: Park Geun-hye’s government could not handle even the most basic and fundamental function of the government like public health. It was the Sewol ferry disaster that truly drove that point home. On the night of April 15, 2014, the Sewol ferry left the port of Incheon to sail overnight to Jeju island, a tropical resort south of the Korean Peninsula. Aboard were 476 passengers, 325 of whom were high school students from Danwon High School in Ansan, a blue-collar suburb of Seoul. Early morning of April 16, the ferry turned too quickly in the fast-moving waters in Korea’s southwest. The ship listed, then began capsizing. Both the ship’s crew and the maritime police—who was in charge of the rescue—responded with grievous, deadly incompetence. Although the Vessel Transportation Service (equivalent to air traffic control for the sea) told the ship’s captain to evacuate, the captain did nothing. The crew told the passengers—again, young children—to stay in their cabins, even as the cabins were taking on water. With their smartphones, the Danwon students were taking photos their water-logged cabins, and shooting videos talking about how scared they were. Through social media, they were essentially live-casting the last moments before they drowned. The rescue team arrived too late, and made no attempt to rescue the hundreds of passengers that were still inside the ship. 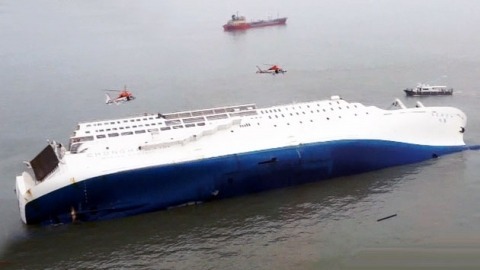 The entire Korea watched in horror as the ship capsized and the stream of text messages and social media updates from the students trapped inside suddenly stopped. Only 174 out of the 476 passengers survived; among the 325 Danwon High School students, only 75 survived. The Sewol ferry disaster left a national trauma. True, Korea has previously experienced major disasters that left hundreds dead. In 1995, for example, a five-story department store building collapsed after unauthorized modifications to the building that made the structure weak, killing 502 people. But well into the 21st century, Koreans had truly believed they were past the bad old days when safety regulations were merely a suggestion. The Sewol ferry disaster happened around 9 a.m., which ensured the maximum number of people were watching the ship capsize on live television. Thanks to Korea’s early adoption of high speed internet, Koreans were also the first humans who went through what would become a depressingly common global experience: getting the live social media feed of people—in this case, young children—who would soon meet their end. The social trauma was so deep that Korea’s bars and restaurants suffered a 21.9 percent downturn in sales until the end of 2014, because people simply did not feel like going out anymore. If there ever was a moment for presidential leadership, this was it. To Koreans, the Sewol ferry disaster undermined the most fundamental promise of a government: that it would make an effort to save you from disasters. The last messages of the drowning students haunted people’s conscience. It was imperative for the country’s leader to restore the faith in the country’s government, to lead the people in healing. Park Geun-hye did none of that. The first emergency call from the Sewol ferry went out on 8:54 a.m.; at 10:17 a.m., the ship capsized to a point that further rescue was impossible. Yet Park Geun-hye did not appear in public until 5:15 p.m., more than eight hours after the ferry accident was first known and seven hours after there was nothing further that could have been done. When she did arrive at the response center at 5:15 p.m., she asked non sequitur questions, showing she was not aware of what was happening. For example, Park asked “why is it so hard to rescue the students? Were they not wearing life jackets?”—as if students were floating on the surface with life jackets on rather than being trapped inside the ship that had been completely upside down for hours. After asking a few more clueless questions, Park Geun-hye returned to Blue House promptly at 6 p.m., as she has always done throughout her presidency. Park Geun-hye administration’s utter incompetence, revealed through its response to the Sewol ferry disaster and the MERS epidemic, kneecapped her administration unlike anything else. Park’s approval rating, which hovered over 50 percent even during the height of the NIS election meddling scandal, sank to low 30s during the MERS epidemic in 2015. The two year stretch from late 2014 to early 2016 may have been the darkest period in Korea’s democratic history: a period of callous cruelty, utter lack of shame and total incompetence across the board. During this period, many Koreans—myself included—genuinely doubted whether Korea’s constitutional democracy would continue. 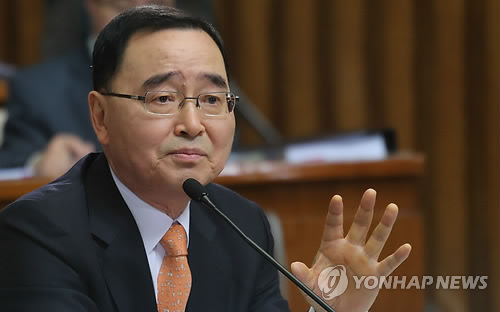 In response to the Sewol ferry disaster, the Park administration had its Prime Minister Jeong Hong-won tender resignation. Yet Jeong, who offered to resign on April 27, 2014, would end up staying as the Prime Minister for 296 more days, as Park Geun-hye’s nominees would emerge as a shitshow of one kind or another. Park first nominated Ahn Dae-hee, a former prosecutor-turned-Supreme Court justice. But just one week after the nomination, Ahn bowed out when media reports revealed that he earned more than US $1.5 million as an attorney within the five months since he retired from his judgeship. Then Park nominated Moon Chang-geuk, a far-right professor and former journalist. Moon lost hisnomination when a video surfaced showing him giving a sermon at his church saying Japan colonized Korea because Koreans were lazy, and God divided the Korean Peninsula to save at least the southern half of turning communist. it took Park Geun-hye ten months and two more candidates to replace him. Finally, after nearly 10 months since Jeong Hong-won tendered his resignation, Park Geun-hye managed to appoint her new Prime Minister, a veteran conservative politician Lee Wan-gu. Then just 70 days later, Lee resigned as his name surfaced in a list of bribe-takers, discovered from a former businessman and National Assembly member who hanged himself while being under investigation for corruption. If you’re counting, that’s four Prime Ministers or nominees for Prime Minister, the second highest office in the Korean government, in the span of a little more than a year. Yet no matter how much disarray the Blue House displayed, Park Geun-hye could always fall on what came to be known as the “concrete floor”—the unshakable 30-odd percent of Koreans who seemed to support Park no matter what. Most of them were Koreans over the age of 60 with faint appreciation of democracy who remember Park Geun-hye’s father as the national hero who delivered Korea from poverty rather than a murderous dictator. The rest were the newly emerged alt-right, a corps of young conservatives that the Park government raised in order to take over the internet. Since I already wrote nearly 4,000 words about how Korea’s alt-right, the first of its kind in the world, I won’t repeat all of it here. (Please do read the post, however. I promise it will be worth your time.) 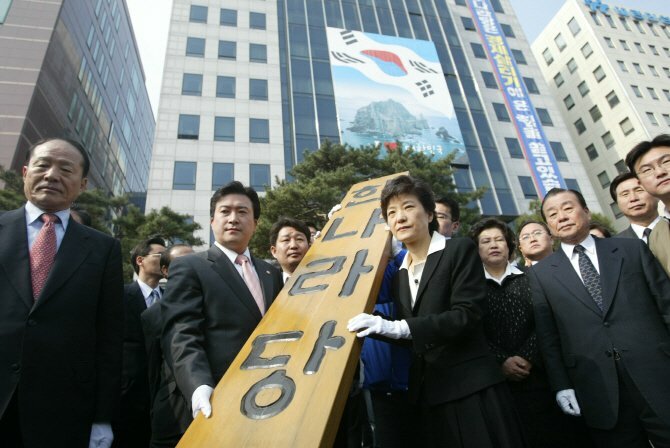 To summarize quickly: (1) the alt-right congregated at a message board called “Ilbe,” which became one of the largest websites in Korea; (2) the NIS consulted psychologists to create the most damaging and humiliating photoshopped images of liberal figures, chief among them Roh Moo-hyun who was mocked as a koala; (3) the government (headed by Lee Myung-bak at the time) created far-right wing media from thin air by paying for the seed money to establish an internet media company, then financed it by pressuring corporations to put ads on the site and forcing government workers to sign up for paid subscription; (4) the government also financed right-wing civic groups to sign petitions, hold protests and repeat the narratives created by the NIS and amplified by Ilbe and the far-right media. In other words, the entire alt-right ecosystem in Korea was a government start-up. Korea’s alt-right served as Park Geun-hye’s private thugs, a never-ending wellspring of trolls that harassed Park’s opponents both online and offline. Of all the vile misdeeds while she was in office, the most reprehensible was the way in which Park demonized the parents of the children who perished in the Sewol ferry. Parents of Danwon High School students initially demanded where Park Geun-hye had been in the seven hours while the ship was sinking, and the Blue House stonewalled. Demanding answers, the parents began a hunger strike. Ilbe took the forefront of the task of making the parents who lost their children in the sunken ship as greedy money grabbers. In the most disgusting political theater I have ever seen in my lifetime, hundreds of Ilbe members gathered at the City Hall Square, where the parents of the Sewol ferry children were engaged in a hunger strike, to start a“gluttony strike”: eating fried chicken and pizza to taunt the parents who had been starving for days. The number of injured and the dead continued to rise. In December 2014, an alt-right Ilbe user bombed (!) a talk held by a leftist speaker, injuring three members of the audience. (Recall that civilian ownership of firearms is strictly regulated in Korea; incidents involving explosives are exceedingly rare.) In November 2015, the police aimed the water cannon at the protesters’ heads and struck Baek Nam-ki, a 67-year-old farmer, putting him in a coma. You would have thought all this would have at least energized Korea’s liberals, but no. Seven years into conservative rule, the Korean public was spent. The memories of 2008 candlelight protests haunted the liberals—hundreds of thousands of people gathered in a show of force, resulting in nothing but more oppression. The concrete floor that never budged despite all of Park Geun-hye’s incompetence was despair-inducing. There seemed to be no long-term future for Korea’s liberals. Korea’s youth, fueled by the Sewol ferry tragedy that struck their age group, passionately raged against Park Geun-hye administration. Yet with Korea’s birth rate having been fallen for several decades, the older Koreans outnumbered them for the foreseeable future. Disillusioned by politics, many Koreans simply ceased paying attention to it, telling themselves that conservative or liberal, politicians were all the same. By early 2016, the state of Korean politics was a variant of Gresham’s Law: just as much as bad money drives out the good, the bad, fractious politics caused the decent people to tune out politics altogether, leaving trolls as the only group of people motivated enough to participate in politics. The National Assembly election in 2016 loomed large. Korea's liberals genuinely feared that if they lost again, Park Geun-hye would attempt to change the constitution in a way that set up for her party's rule forever, just like her father did. 1. IMO the real problem of the LMB-PGH administrations was not incompetence (which both had by oodles btw). Incompetent governing is a serious problem, but it usually just ends there. Systematically establishing a basis for unrestrained corruption OTOH, can ruin a society beyond repair. And this was what LMB & PGH set out to do with all their might - and their might in this regard was a pretty strong one because they collaborated with Korea's power elite. By controlling intelligence and media, they started a war against the very core of democratic functionality - its values. They gave new life to outdated values of Korea's authoritarian past (e.g. anti-communism, rankism, regionalism, nationalism, developmentalism, neo-mercantilism, nepotism, chauvinism, misogyny, lack of social awareness, and a general 'survival of the fittest' mentality, etc. ), and this reactionary move has left a serious legacy in Korea's social-political landscape. 2. You described how the conservative administration directly orchestrated Korea's Alt-right movement. While I completely agree it was a governmental creation, they did it through both direct and indirect means and I think your post only covered the direct portion. IMO the indirect portion - the swimming against the tide implementation of laissez faire economics in a time when need for redistribution was greater than ever - was no less important as it layed down the basis for the rapid spread of far-right sentiments. As job markets intensified & economic instability grew, anxiety, fear, stress, and insecurity went up, which in turn increased paranoia and narrow-mindedness. Add to this the winner praising, loser shaming propaganda of the conservative machine - and now you have the perfect condition for a world full of power worshipping wannabe bigots. (This trend affects the upper class as well, because they feel the heat knowing they are the biggest targets to dethrone by the people below.) The youth, who had been bred under this pressure-cooker environment ever since birth, were especially struck hard; they became the biggest source of Alt-right supporters. The Sewol tragedy was a miniature of everything that was wrong with Korean society. No matter how you put it, it was an incomprehensible event that should not have happened, period. A 6000+ ton ship capsizing just for taking a turn? The crew abandoning their passengers without even telling them to evacuate? Over 30 members of the crew, and not a single one of them objected the senior crews' decision? And this ship, illegally remodeled to make more shipment, passed all the safety tests? What about the pathetic rescue attempts that followed, and where was the government when the country was in such dire need of leadership? Why were the crew, who are in charge of such heavy responsibility, were underpaid temporary workers? What the hell was going on? WHAT THE HELL IS WRONG WITH OUR SOCIETY? PGH's "7 missing hours" shouldn't have been such a big deal if the national counter-emergency system was functioning properly. As it turned out Korea's emergency system was put to decay ever since LMB took office (for example thousands of pages of RMH's "Counter-disaster Manual" were just thrown out of the window because of LMB's philosophy that "government sizes should be small" & "governments are meant to support business, not waste time in petty safety measures".) Sewol's illegal remodeling would not have passed the safety tests if LMB hadn't relaxed safety regulations and monitering - he was vehemently against all sorts of regulations that stood in the way of business profit and encouraged corruption by turning a blind eye to most of them. And thus became Sewol a battlefield of values. The values that put business first and promoted greed as some divine hand vs the values that put the lives and happiness of ordinary people ahead. Sewol was the epitome of all the faults of the former, which was also what Korea's conservatism stood for. That's why it became such a dividing issue between Korea's left and right, why Ilbe decided to mock the grief stricken parents (because they saw them as greedy commie sympathizers demanding overcompensation - a prime example of extreme bigotry), and why MJI's presidential campaign slogan became "Humanity is our Priority (사람이 먼저다)" - a crystallization of the sentiments ignited by this deeply remorseful tragedy.